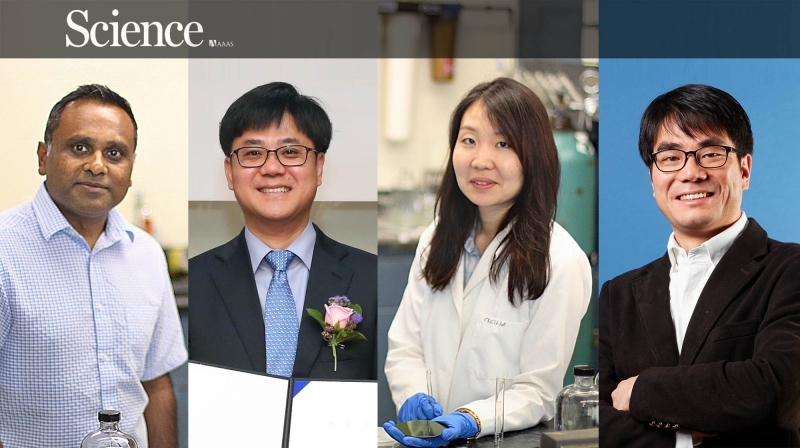 From left are Prof. Manish Chhowalla (Rutgers' School of Engineering), Prof. Hyeon Suk Shin (School of Natural Science, UNIST), Dr. Jieun Yang (Post-doctoral associate in Prof. Chhowalla’s group, Rutgers Univ. 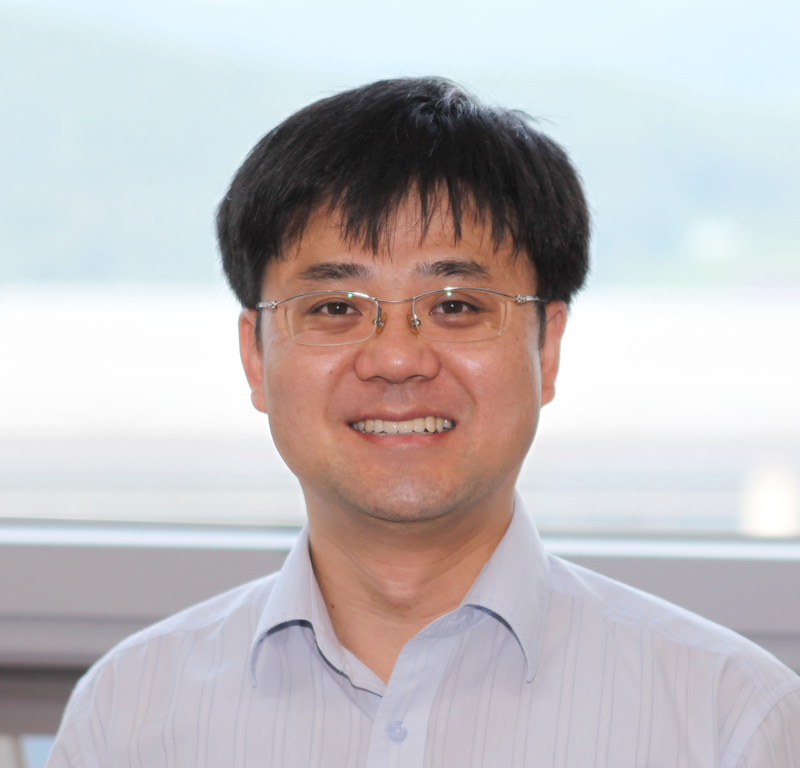 ), and Prof. Hu Young Jeon (School of Natural Science, UNIST). Jieun Yang, a recent graduate of UNIST partook in the study as the paper's co-author. Baking the graphene oxide for just one second in a microwave oven to produce high-quality graphene. Graphene, a material that could usher in the next generation of electronic and energy devices, could be closer than ever to mass production, thanks to microwaves. A new study by an international team of researchers from UNIST and Rutgers University has proved that it is now possible to produce high quality graphene, using a microwave oven. The team reports that this new technique may have solved some of graphene’s difficult manufacturing problems. The findings of the research have been published in the September issue of the prestigious journal Science. This study was jointly conducted by Dr. Jieun Yang, an alumna of UNIST, Prof. Hyeon Suk Shin (School of Natural Science) of UNIST, Prof. Hu Young Jeon (School of Natural Science) of UNIST, Prof. Manish Chhowalla of Rutgers University, and five other researchers from Rutgers University, New Brunswick, NJ, United States. Graphene comes from a base material of graphite, the cheap material in the ‘lead’ of pencils. The structure of graphite consists of many flat layers of graphene sheets. One of the most promising ways to achieve large quantities of graphene is to exfoliate graphite into individual graphene sheets by using chemicals. However, the oxygen exposure during the process may cause some inevitable side reactions, as it can ultimately be very damaging to the individual graphene layers. Reducing graphene oxide sheets (prGON) into pristine graphene, using 1-to-2 second pulses of microwaves. Indeed, oxygen distorts the pristine atomic structure of graphene and degrades its properties. 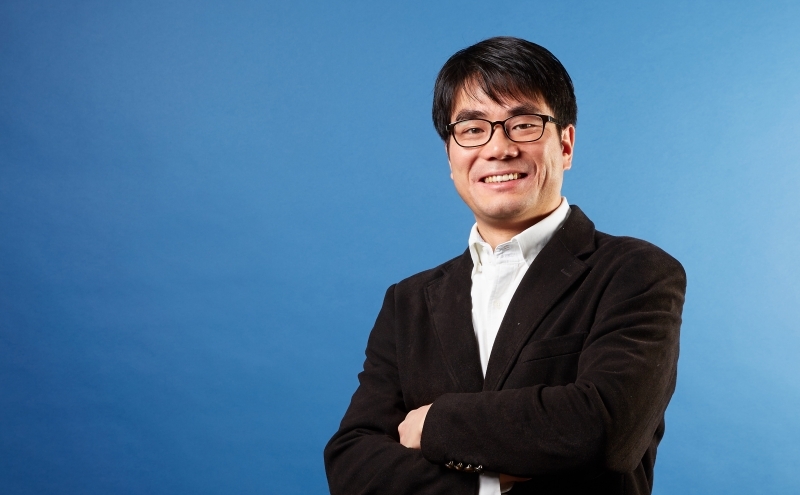 Therefore, removing oxygen from graphene oxide to obtain high-quality graphene has been a significant challenge over the past two decades for the scientific community working on graphene. 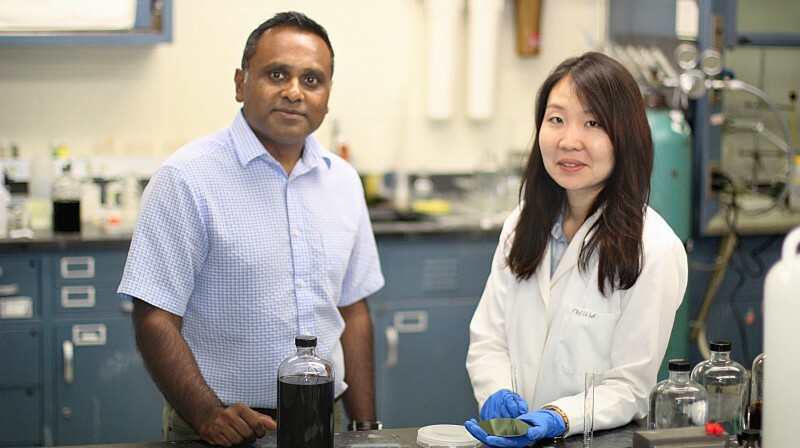 Dr. Yang and her research team have discovered that baking the exfoliated graphene oxide for just 1-to-2 second pulses of microwaves, can eliminate virtually all of the oxygen from graphene oxides. The results indicate that the new graphene exibits substantially reduced oxygen concentration of 4% much lower than the currently existing graphene with an oxygen content in the range of 15% to 25%. The HR-TEM images of graphite oxide (left) and microwave-reduced graphene oxide (right). The study’s co-author, Prof. Manish Chhowalla is an associate chair in the Department of Materials Science and Engineering in Rutgers’ School of Engineering and Director of the Rutgers Institute for Advanced Materials, Devices and Nanotechnology. Prof. Chhowalla has been working on a joint research project with Prof. Shin and Prof. Jeon of UNIST. 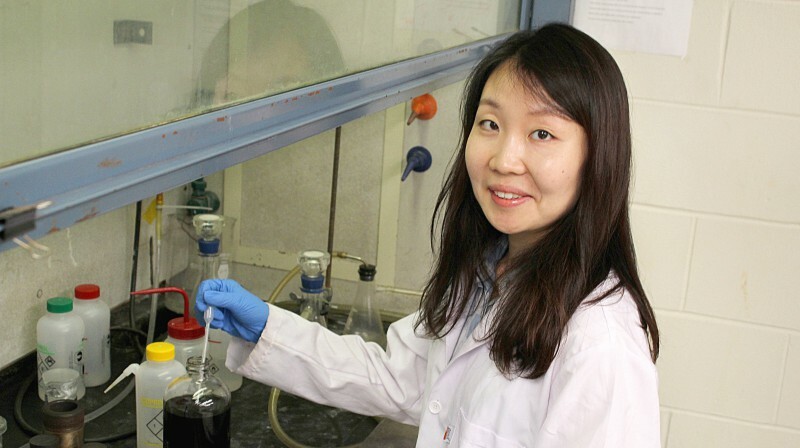 Dr. Jieun Yang, a former student of Prof. Shin is now working as a post-doctoral associate in Chhowalla’s group at Rutgers University. This work has been supported by the National Science Foundation, Rutgers Energy Institute, U.S. Department of Education and Rutgers Aresty Research Assistant Program. 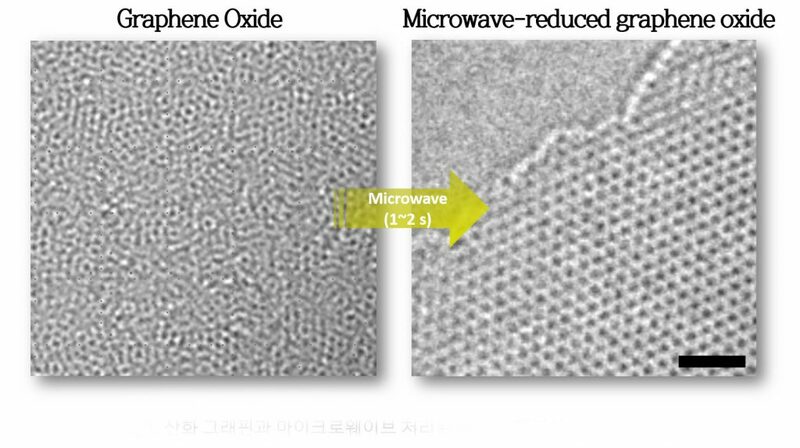 Damien Voiry, Jieun Yang, Jacob Kupferberg, Raymond Fullon, Calvin Lee, Hu Young Jeong, Hyeon Suk Shin, and Manish Chhowalla, “High-quality graphene via microwave reduction of solution-exfoliated graphene oxide”, Science, (2016).